Deer Valley is a cream-of-the-crop, luxury ski resort, characterized by exceptional customer service, gourmet dining and upscale accommodations. Visitors here revel in a mountain escape all the while being just minutes to everything Park City has to offer. Deer Valley is the last of two destination resorts in the Western United States to be labeled skiers only. Deer Valley does not allow snowboarding. Located only 34 miles east of Salt Lake City, Deer Valley is comprised of 4 mountains that offer a wide variety of terrain (though there is a greater portion of intermediate skiing). This is one of the smaller ski resorts in Summit County(about the size of Telluride or Beaver Creek), but it offers excellent skiing with over 300 annual inches of light, dry Utah powder. And, if you’re planning on hitting the slopes for 3 days or more and you want to add a little variety to your Deer Valley experience, talk to your Sports America account manager about adding any another Utah ski resort to your mix. Please note that Deer Valley is a ski-only resort and does not allow snowboarding. Deer Valley has a select few top-notch dining and shopping options, but all in all it is a quaint and quiet resort revered for its charm and solitude. For nightlife and a wider selection of places to shop and eat, Park City is only a short mile or so away. 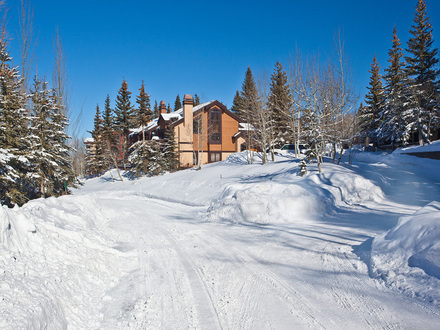 Some Deer Valley properties provide a private shuttle, but for those that don't the free town shuttle is extremely convenient and provides transportation between all 3 mountains and downtown Park City. 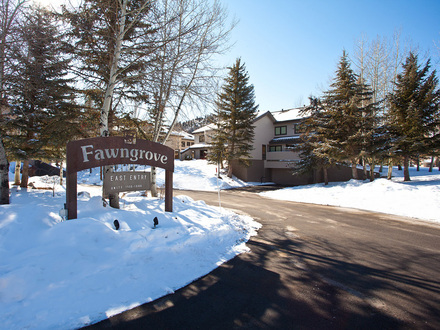 There are two lodging areas in Deer Valley- Silver Lake and Snow Park. Snow Park is located at the base of the ski mountain, and is closer to the nightlife of Park City. Silver Lake lies mid-mountain, and is the more quiet and remote of the two. Both offer fabulously upscale home, condo, and lodge options- many of which have their own private hot tub, as this is the type of standard that is upheld in Deer Valley. Top dollars are definitely paid here, but you can expect the quality of the lodge to match.